A delicious family friendly Turkey Burger packed with spinach and feta! My kids love burgers… and I mean really love them! I think they’d happily eat them several times a week for dinner, such is their obsession! 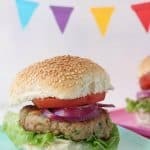 So in an effort to reduce the amount of red meat they eat, I decided to make these really delicious but healthy Turkey Burgers! Turkey burgers can sometimes lack flavour and so I decided to make them a bit tastier by adding some feta and spinach. 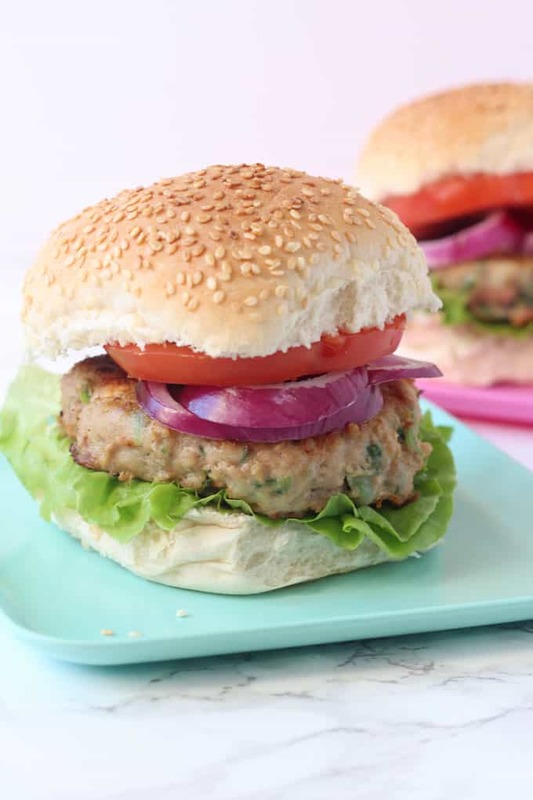 This really gives these burgers a lovely subtle flavour, without being overpowering and of course they contain some greens too which is never a bad thing! 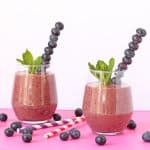 The first time I made these I genuinely thought my fussy eater would complain about the spinach (she hates “green things” in her food!) but to my utter surprise she didn’t say anything and she now regularly asks me to make these. Amazing! 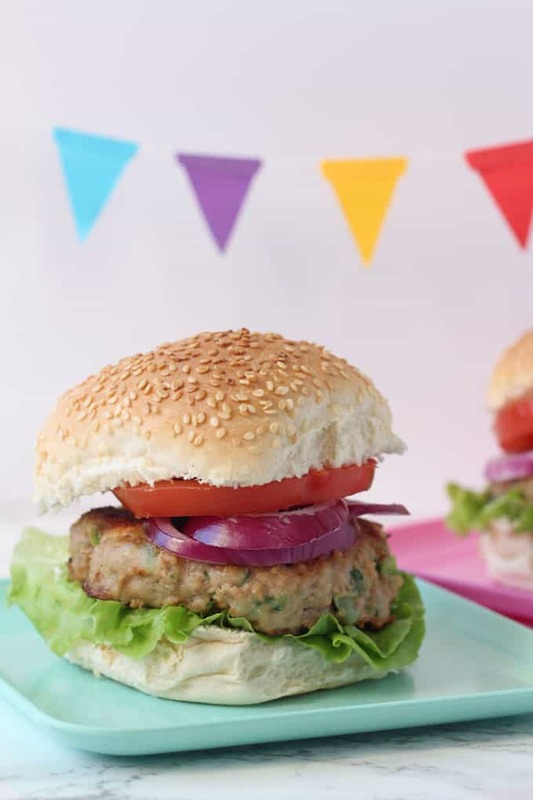 These burgers taste just as good cooked on the bbq as they do on the hob and they can also be made ahead and either kept in the fridge for a couple of days or frozen too. Place the frozen spinach in a jug of boiling water and allow it to defrost. Drain and squeeze out as much water as possible from it. 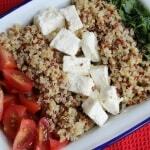 In a large bowl add the turkey mince, feta cheese, egg, spring onion, garlic, salt and pepper. 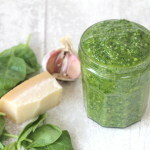 Add in the spinach and mix well with your hand or a spoon. Spread the flour out onto a plate. Divide the burger mixture into 5 patties and coat each one with the flour. Add a little oil to a frying pan and cook the burgers for 12-14 minutes, flipping half way through. Serve immediately or allow to cool and keep in the fridge for up to 48 hours. Really enjoyed these and it was a nice change from chicken which we seem to eat a lot of! So good! Kids and husband loved them! Another recipe that went down a storm!